I know it’s been a while since my last post on my holiday to The Canaries, but I’m back in the game after much relaxation and ready to share my first impressions of one of the most talked about, iconic, luminous and weightless foundations out there – Charlotte Tilbury’s Magic Foundation. After walking into Selfridges and collecting a few samples to play around with myself at home, I felt that shade 9 was the perfect match for my skin tone and decided to buy it on my next visit which was yesterday! When I was matched at the Charlotte Tilbury counter, I felt at first that it was slightly more on the warm side, but after wearing it throughout the day, the colour grew on me more and more, and the luminosity that was brought out by the foundation, totally overpowered that slight mismatch in colour – so for me, this is the perfect shade! Magic foundation is heralded as miracle in a tube with it’s flawless, powerless and long-lasting coverage, I can definitely say, it lives up to it’s promises! As a full coverage girl, who has some scarring – I’m always looking for that extra bit of coverage and after a first buff of this foundation into my skin, I can instantly see my skintone looking more even and with it, a subtle glow, blurring out my pores and covering my scars. The finish of this foundation is demi-matte on me and I have a combination skin type. I feel like I don’t need to wear any concealer on top of the Magic Foundation to cover up any blemishes or scars, I would just add a touch of my NARS Radiant Creamy Concealer in the shade Caramel to brighten up my undereyes for that highlighted effect. It feels comfortable on the skin and stays on for a long time without transferring. Although the end result is a radiant, luminous finish, it sets into a gorgeous, velvety texture. One of the reasons, I was so drawn to this foundation was because of one of the main ingredients in the formula – Hyaluronic Filling Spheres – For a long time now, I have been researching a solution for minimising acne scarring and the pitting caused by this, and although hyaluronic acid acts as an anti-aging property, it’s a great product for plumping the skin by increasing the collagen production around problematic areas on the face. This is something that immediately drew me in and I was also very intrigued by Charlotte Tilbury Magic Cream also containing hyaluronic acid as well a number of natural magical ingredients. Retailing at £70, I thought i’d try out the foundation before I made the splurge, but I may be enticed to make the purchase very soon. Previously, I would wear MAC Studio Fix Fluid (SFF) in NC44.5 and this has been my holy grail foundation for so many years now! In comparison to the SFF, Magic Foundation definitely has a deeper and fuller coverage, and minimises the look of pores really well. I feel like SFF can have a slightly drying effect on the face as the finish is matte rather than demi-matte like the Magic Foundation, which can sometimes result in flakey-ness around blemishes. 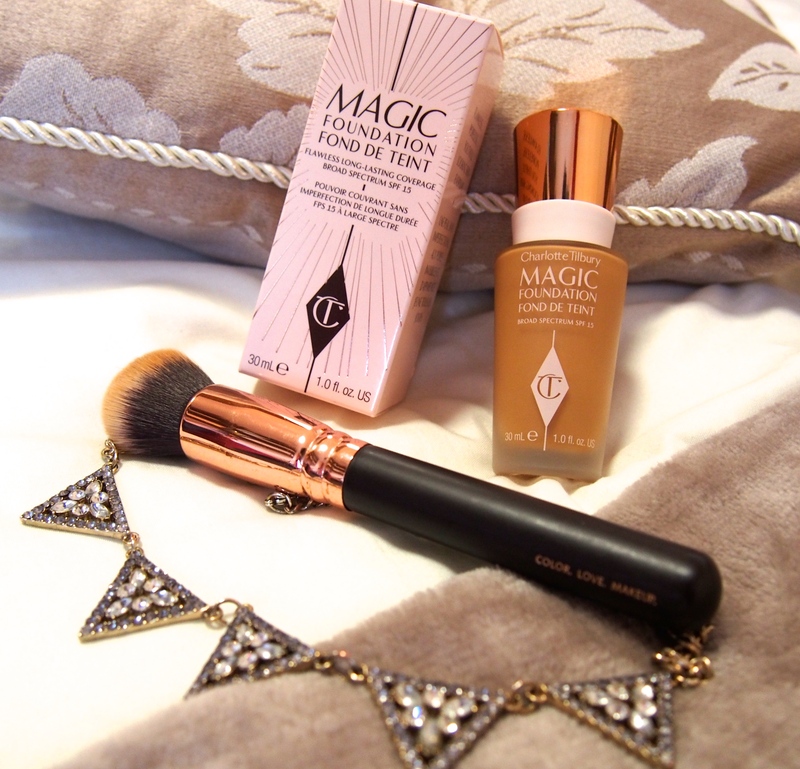 The Magic Foundation is great at preventing a dry look and leaves the skin feeling hydrated and luminous all day! 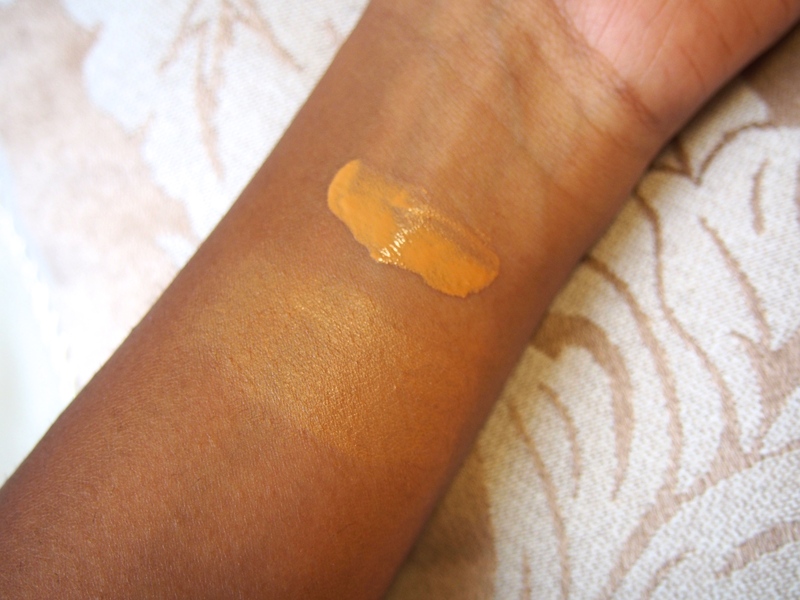 The swatch above shows the Magic Foundation in shade 9 with no blending and the swatch underneath shows how it looks when blended. As you can see, I’m still rather tanned on my arms from my holiday so the colour of the foundation doesn’t match too well on my arms, however i can assure you it looks like a perfect match on the face haha. 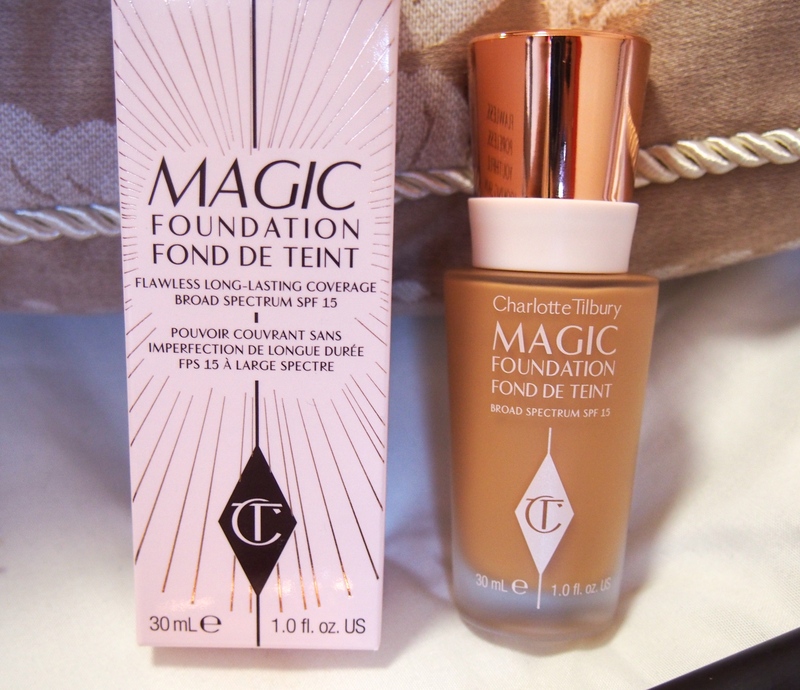 Have any of you tried the Magic Foundation or any other products by Charlotte Tilbury? I can’t wait to get my hands on the Magic Cream!